What hangs on your Christmas tree this year? I hope the ornaments give you joy, whatever they may be; are fun, and hold good memories. Our friend brought us a beautiful hummingbird last night, made by her daughter, who is a potter. The top half of our Christmas tree is always covered with birds. I’ve been collecting them for more than 40 years now, and some of the originals are still with us! I also collect stars and snowflakes, loving their beautiful geometry. The only snowflakes we’ll see this Christmas are the porcelain kind. But that is really fine. We have our snowflakes on the tree, and the garden remains full of flowers instead of blanketed in ice and snow. And I was inspired to make a new set of ornaments for our trees this year, which celebrate the beauty of bare branches against a winter sky. These are simply glass balls decorated with free hand drawings of bare trees. They bring to mind the traditional Yggdrasil, the World Tree, which allows one to travel between the worlds. The roots of all of these trees connect. It is as though each orb is covered with a forest of small trees, which really are only one tree growing out in all directions. Our Christmas decorating has also been minimalist this December. We are enjoying the simplicity of it. Most of our traditional decorations remain packed away. We didn’t plan it that way; I was busy with other projects and left the decorating to the last minute this year. But we have our lights and our trees. And we greeted the sun’s rising this Christmas morning, barely visible behind the mist and clouds. 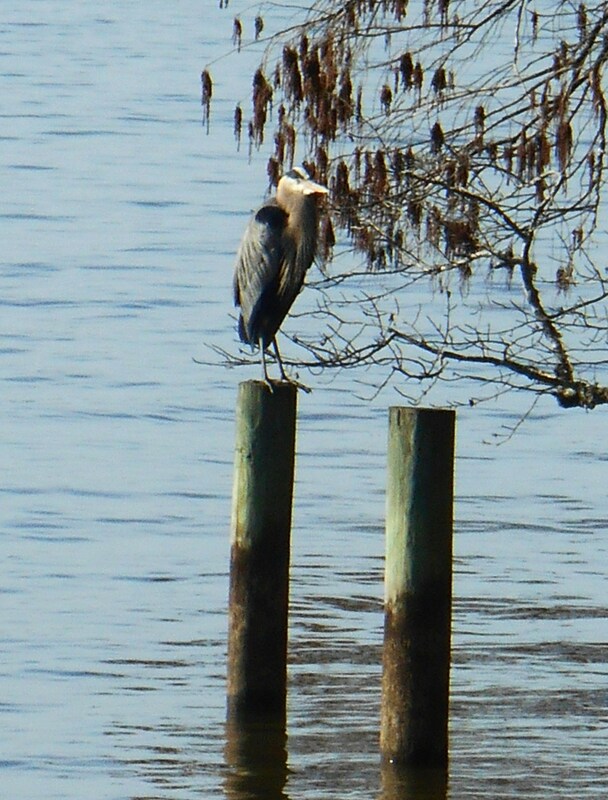 We found this Great Blue Heron on her nest, along College Creek this afternoon. What a beautiful gift to find this majestic bird on Christmas Day! In Case You Didn’t Make It….. 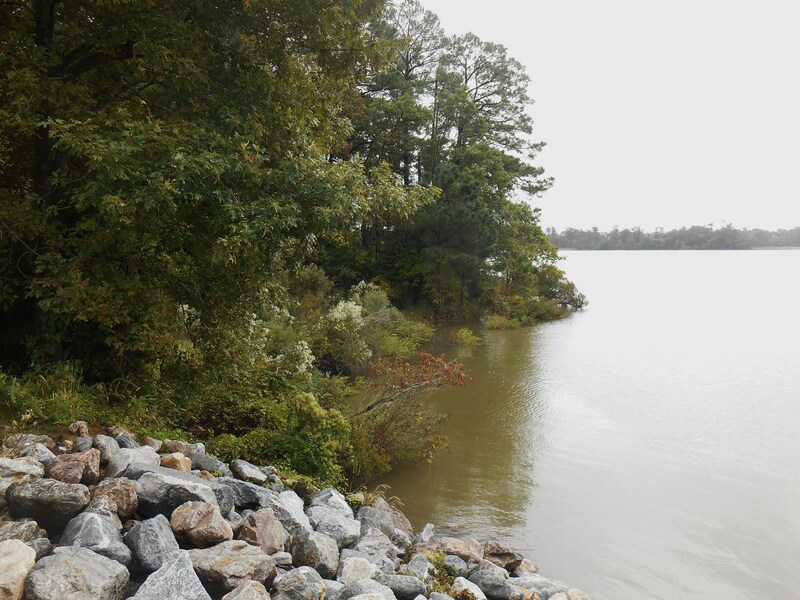 The causeway at Jones Pond, along the Colonial Parkway in York County. 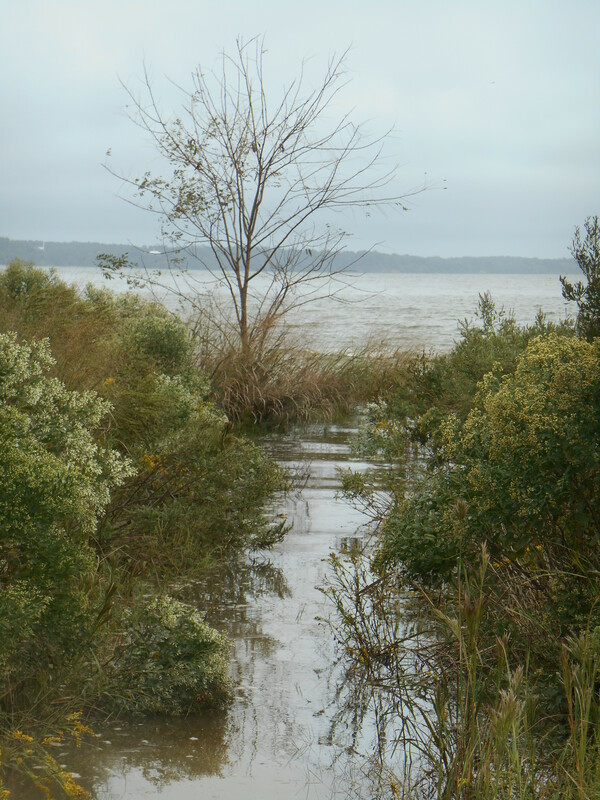 Just in case you didn’t make it to our beautiful area to drive along the Colonial Parkway this year, I’ll share a few of our photos from yesterday. 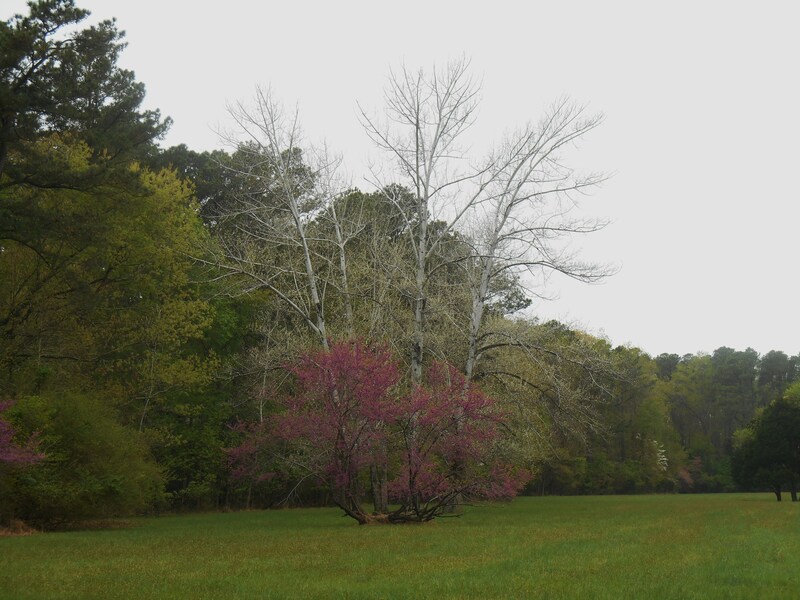 Escapees from the Gospel Spreading Farm along the Parkway, near Jamestown Island. We are always astounded to notice license plates and see how far visitors have traveled just to spend a few days here, near Williamsburg. 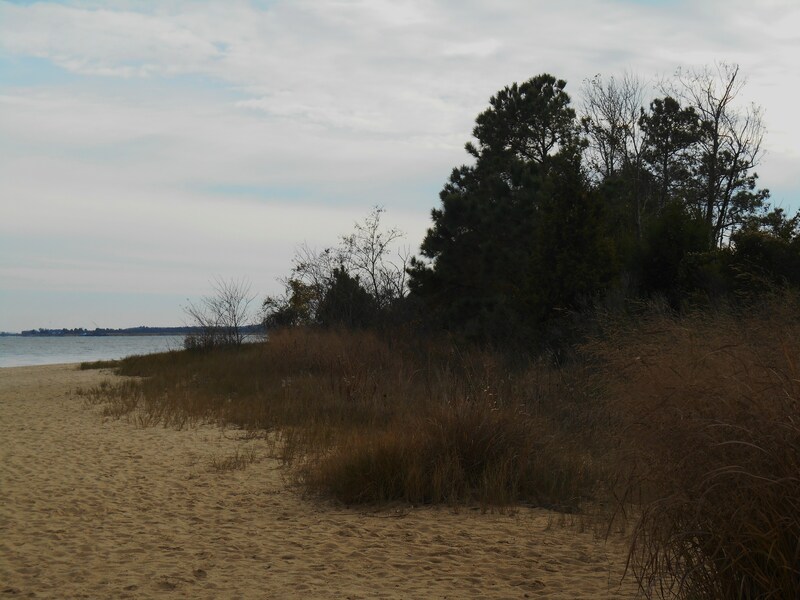 Sandy Bay, near the bridge onto Jamestown Island. 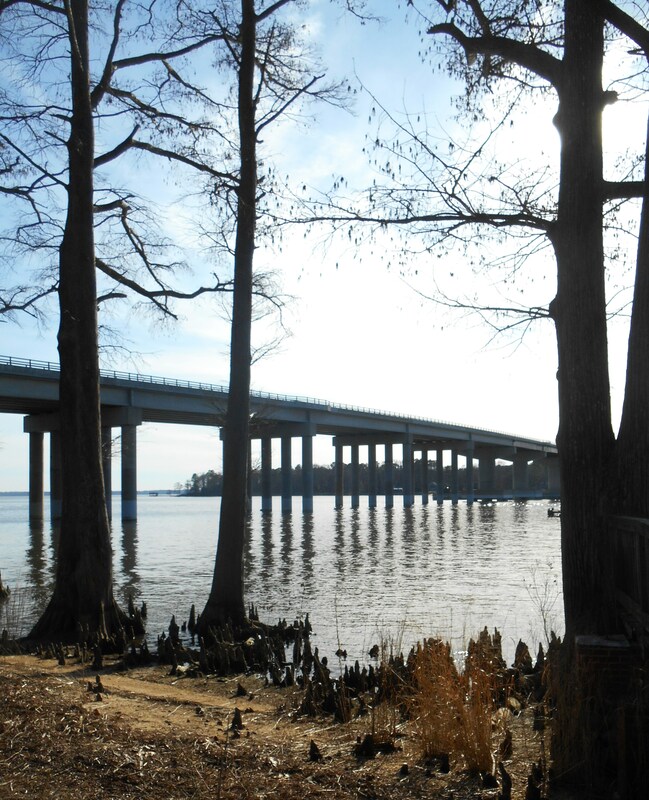 It is one of the prettiest drives in the country, beginning at Jamestown on the James River and ending up on the beaches of Yorktown. All along the way one enjoys beautiful vistas of the water, beaches, marshes, and of course beautiful trees. Modern life is mostly screened out as one travels along this historic road, through national park land, where eagles nest and herons fish by the side of the road. 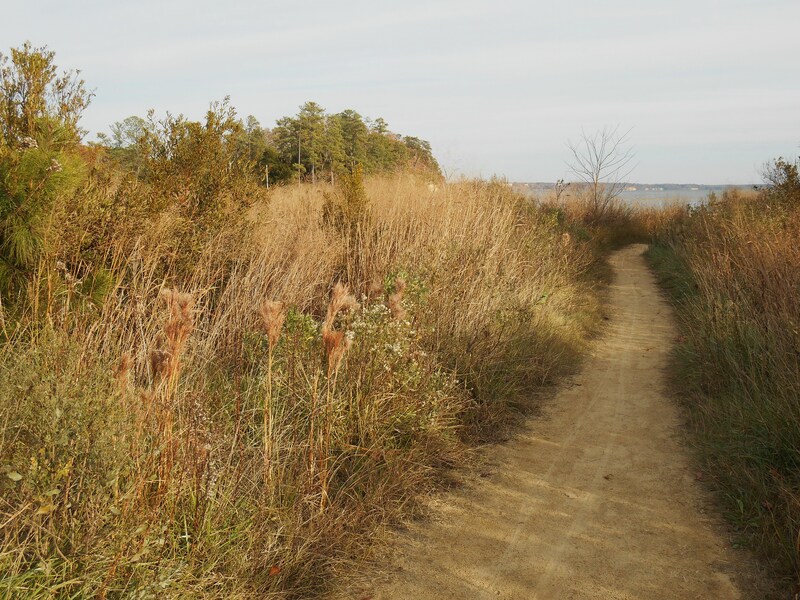 The path to a beach along the James River; a favorite spot for fishing and sunbathing. Yesterday was a perfect autumn day; bright, golden, warmish and alive with bright colors and leaves swirling to the ground on the breeze. It was the sort of day one fondly remembers in early February when the world has grown drab and frozen. Yesterday was the kind of day relished by a dear friend, who left us last Monday. His memorial service was at mid-day yesterday, and we were deeply grateful that the sun shone on him one more time. We drove along the familiar road remembering him, and remembering the many times we encountered one another at the various stops along the Parkway. We felt a need to appreciate the day all the more keenly in the wake of his loss, to soak in all of the color and life of this special place, in fond remembrance of those who have left us this year. So in case you haven’t gotten out leaf gazing this autumn, I hope you will enjoy these photos from our drive yesterday. And if the trees in your community still hold scarlet and orange, screaming Ginko yellow or Gum tree purple; please take a moment to simply appreciate the beauty of the day, the wonders unfolding around you. All we every truly have is ‘Now,’ and the only place we truly live is ‘Here;’ wherever your ‘here’ and ‘now’ might be. Please taste the sweetness of the joys each day offers us. But it’s not really destruction, it’s change. Sea levels rise and fall along the Eastern coast of North America. This has been going on for millions of years. 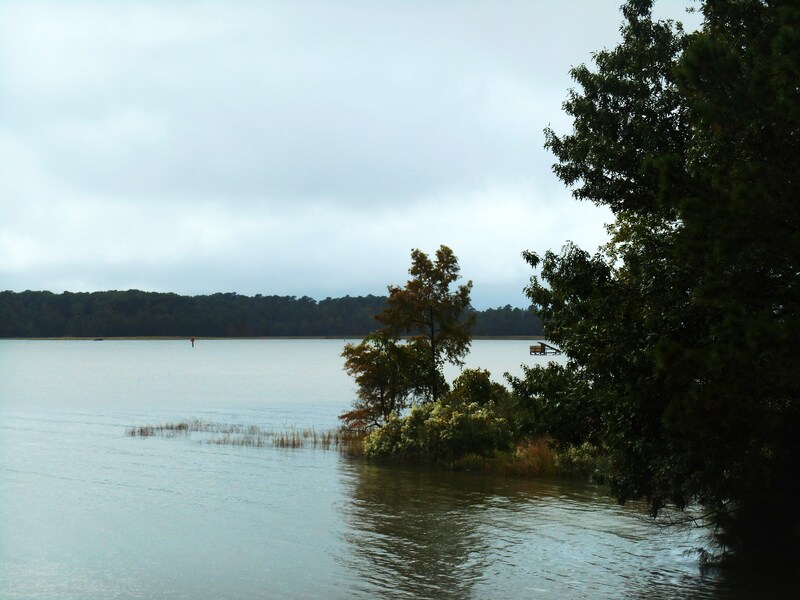 At one time, the sea lapped against the Blue Ridge Mountains, several hundred miles to our west. 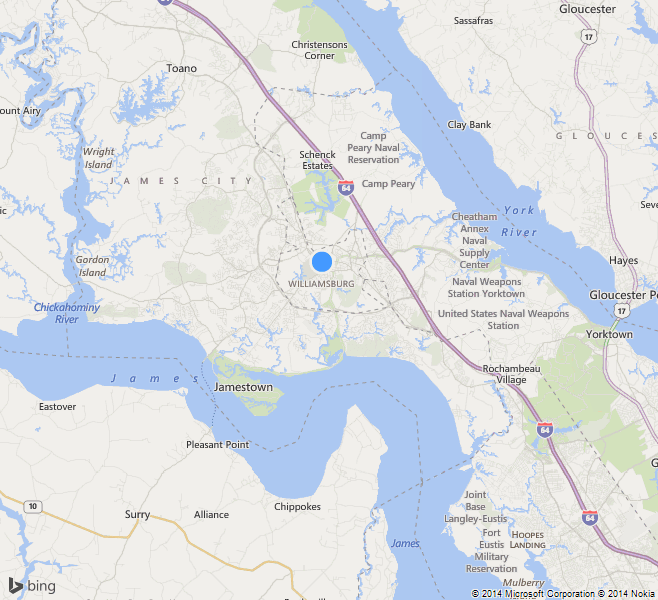 Most of Virginia was underwater. We know this from the fossil record. Archaeologists are finding the remains of great cities, now under water, off the coasts of Africa, India, and Southern Europe. We know the topography of our planet changes continually. Storms over the last two weeks are chewing up our sandy coastline. Beaches and riverbanks continue eroding. Flooding is widespread, and not just along the seacoast. Heavy rain has brought flooding well inland from the Appalachian and Blue Ridge mountains all the way back towards the coasts from New England to the Gulf of Mexico. But this is insignificant compared to the effects of Hurricane Joaquin’s winds on the islands it has attacked. Millions of lives have been effected by severe weather this year across our planet. I believe there are many causes for our warming climate and increasingly severe storms. Some may be caused by human activity. Other causes are part of the natural rhythms of our planet. Activity at the planet’s core controls vulcanism, and the heat and gasses pouring into our oceans from underwater volcanoes. The amount of radiation from space, which makes it through to our atmosphere, has a tremendous impact on our climate and quality of life. A weakening magnetosphere allows more of this Solar and cosmic radiation to reach our planet. This is one of many complex factors which affects our climate and our weather patterns. No one of us can control any of what is happening with climate change. But we each must adapt. And we can do our own little part to bring our planet back into balance by the way we live our lives. 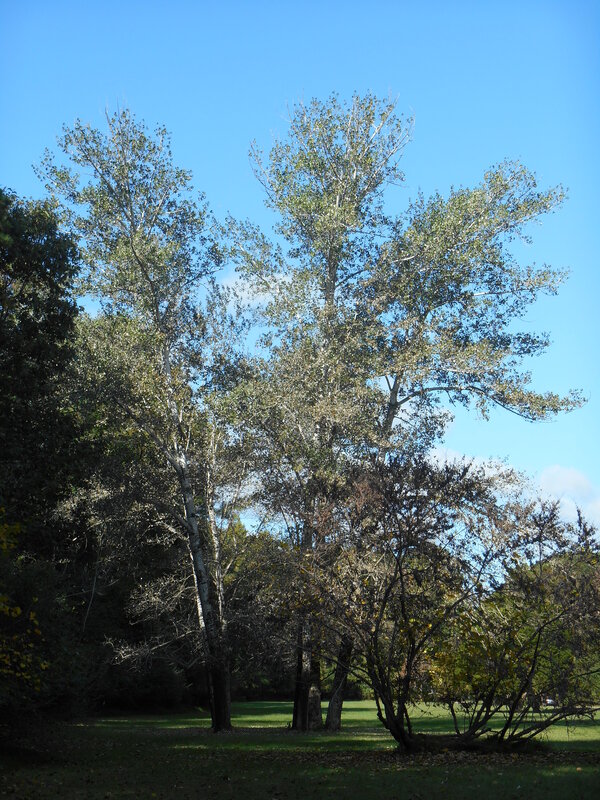 Every tree we nurture captures and sequesters carbon from the atmosphere. 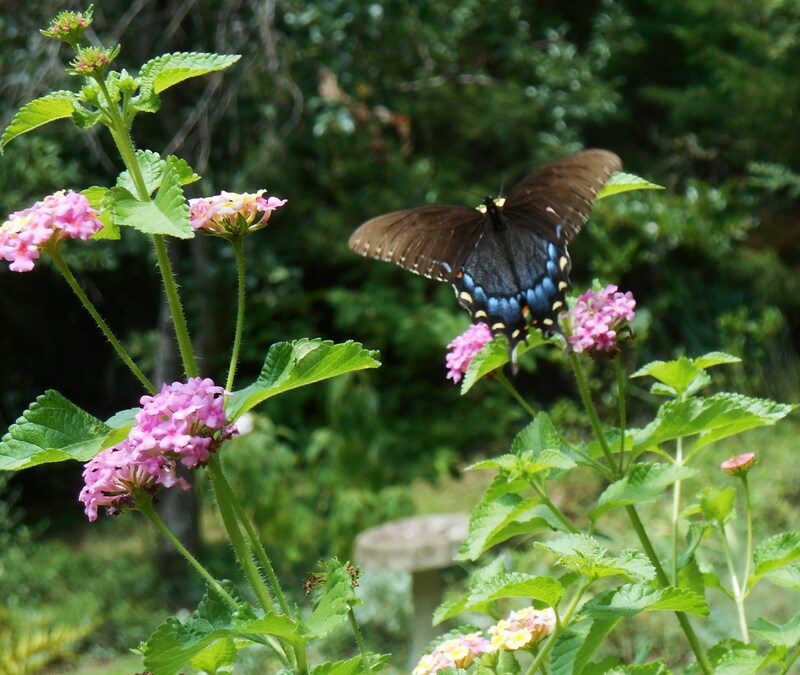 Every garden we plant helps control erosion and contributes to the health of our ecosystem. Our choices of where to live and how much energy to consume play their part in this complex equation. And each of us has a political voice we can raise with our government representatives, demanding that they not only acknowledge this accelerated climate change on our planet, but that they take actions, based on our best research, to mitigate the effects. Our voices may be even more effective when lobbying corporations to make changes in how they manage our Earth’s resources. I believe we are in uncharted territory now. I don’t know if there is any precedent or model to help us understand the totality of the changes occurring now in our planet’s ecosystem. But we can not ignore the issue and expect it to work itself out. 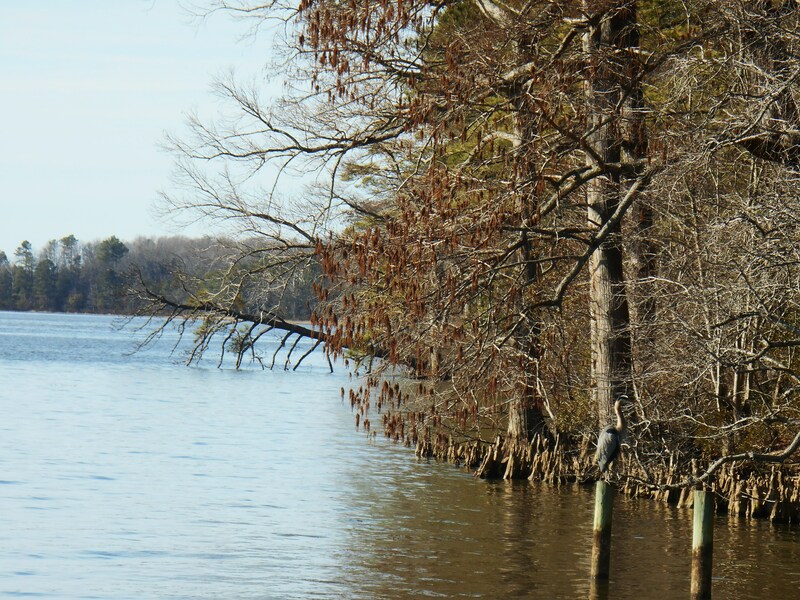 The Chickahominy River flows into the James, then on to the Chesapeake Bay. Abundant rainfall continues to fall in our area. Whether coming as snow, sleet, rain or freezing rain; moisture has filled our sky several times a week for the last few months. We appreciate the rain. Our soil is so well hydrated it squishes. 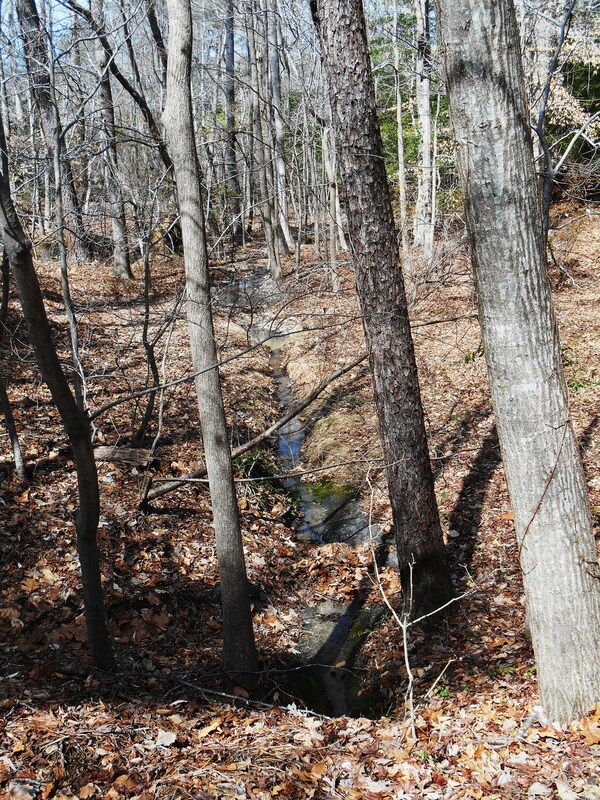 Water from this ditch runs into a tiny creek which feeds College Creek, less than 200 ft. away. 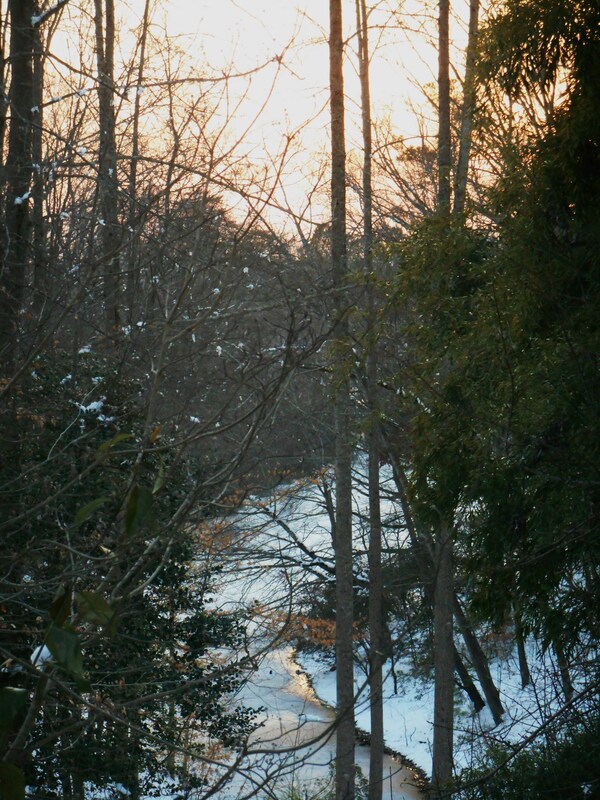 Our neighborhood ditches and low spots fill with precious water, and excess water is channeled down our steep sloping yards into the many creeks which run through our ravines. 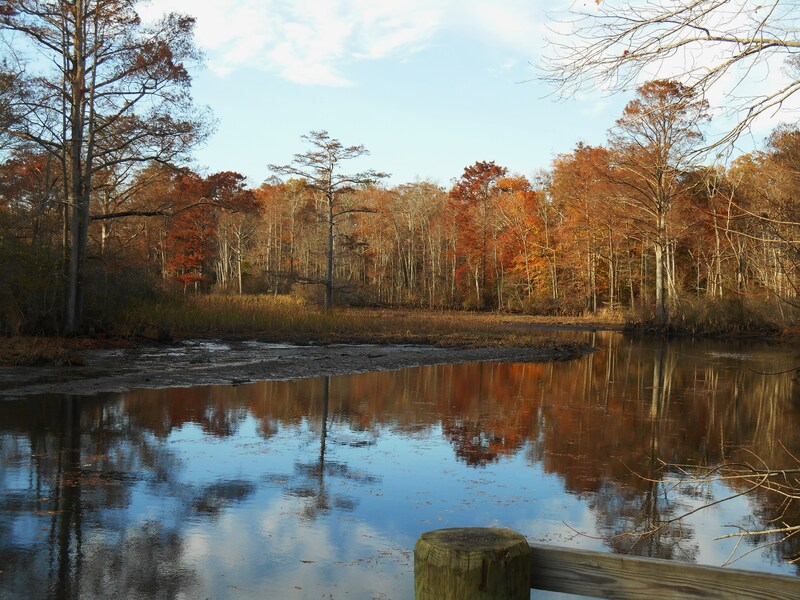 Living near the coast, on a peninsula between mighty rivers, with ponds, marshes and and creeks dotting the landscape, we see and cross bodies of water each day. 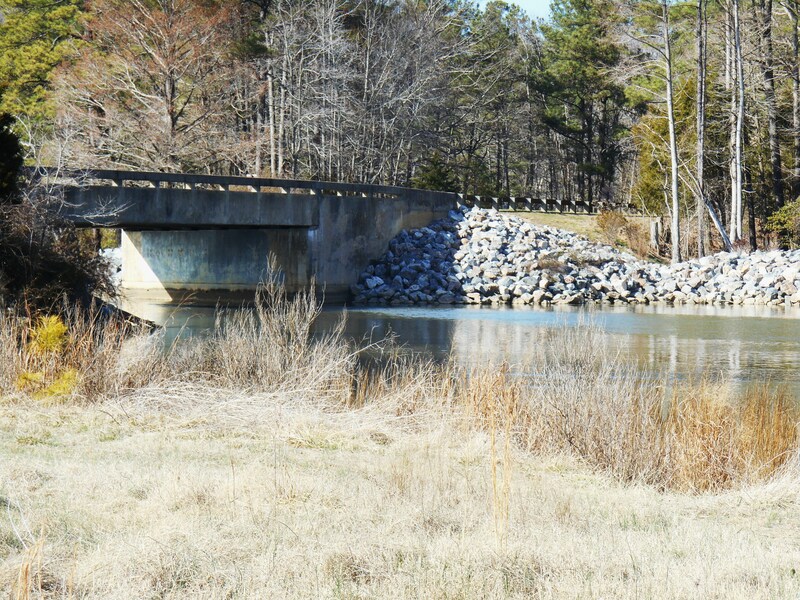 Our close relationship with our area’s waterways remains immediate and tangible. 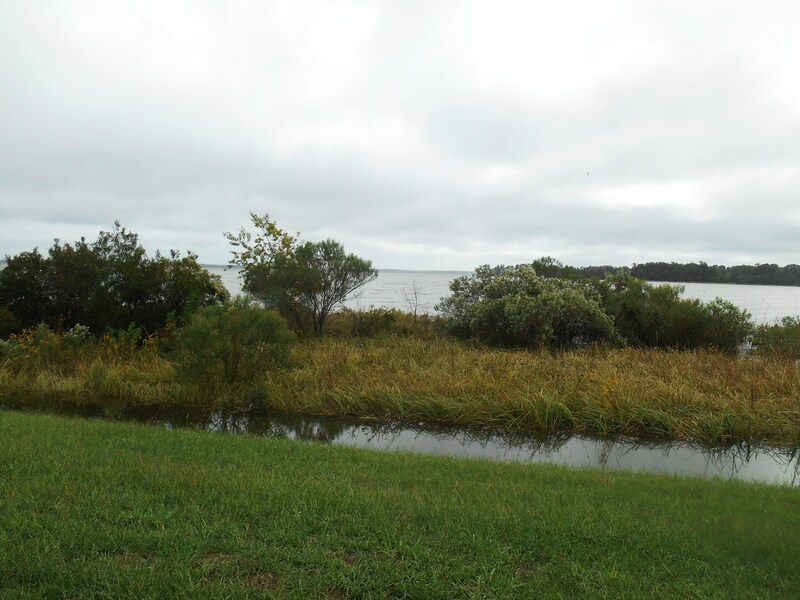 There is a clear route from our garden directly to the James River, then the Chesapeake Bay, and within only about 60 miles directly into the Atlantic Ocean. 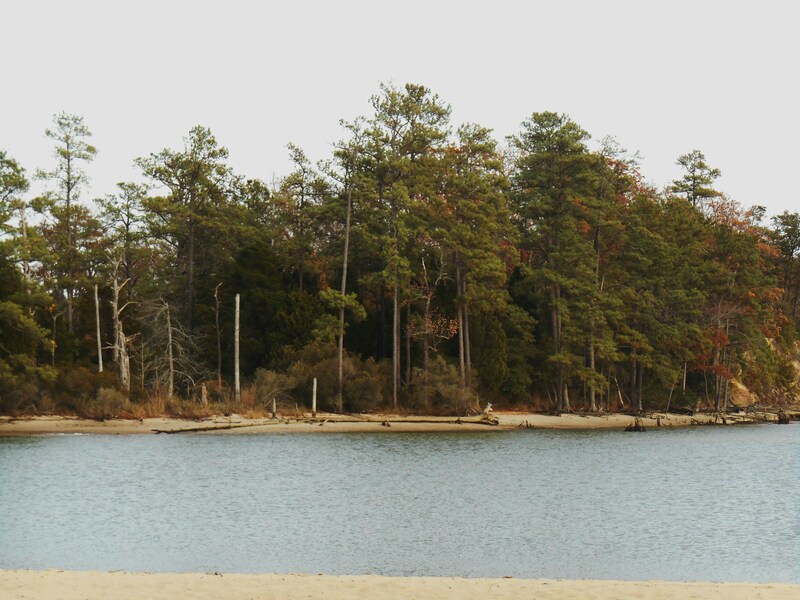 The Chesapeake Bay Foundation has raised awareness of the Bay’s fragile ecosystem since the late 1960’s. 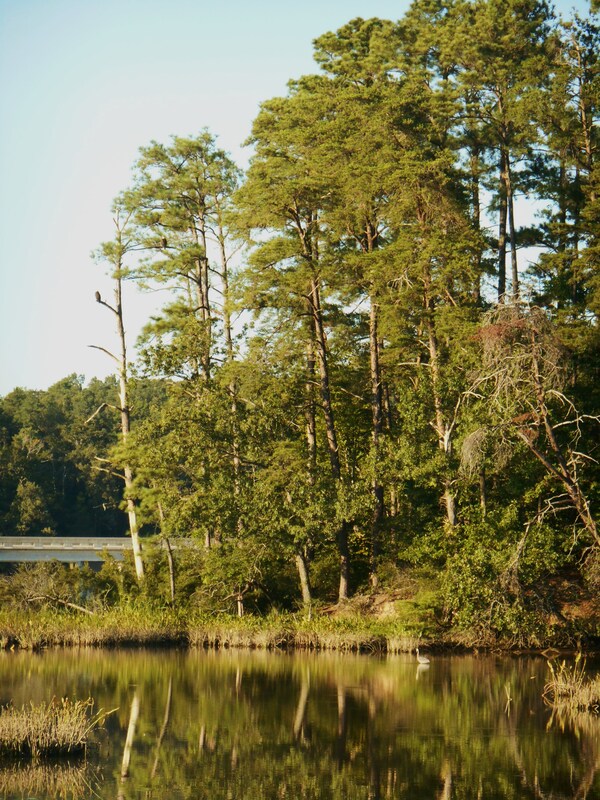 I grew up admiring this group and its efforts to improve water and air quality in our state, to raise awareness of erosion, and to preserve the unique beauty of our coastal region. 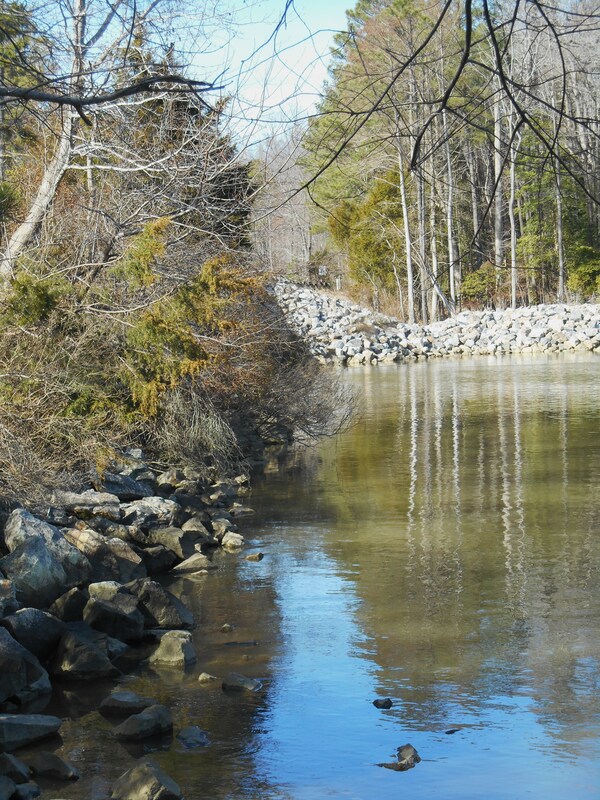 Erosion continues to be a problem along our waterways. 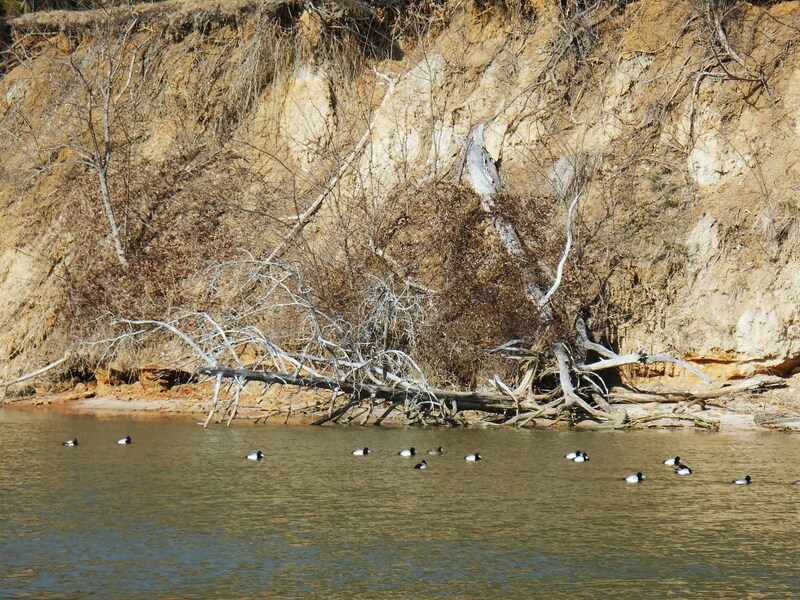 Here, ducks enjoy feeding in the shallows of College Creek near where it empties into the river. 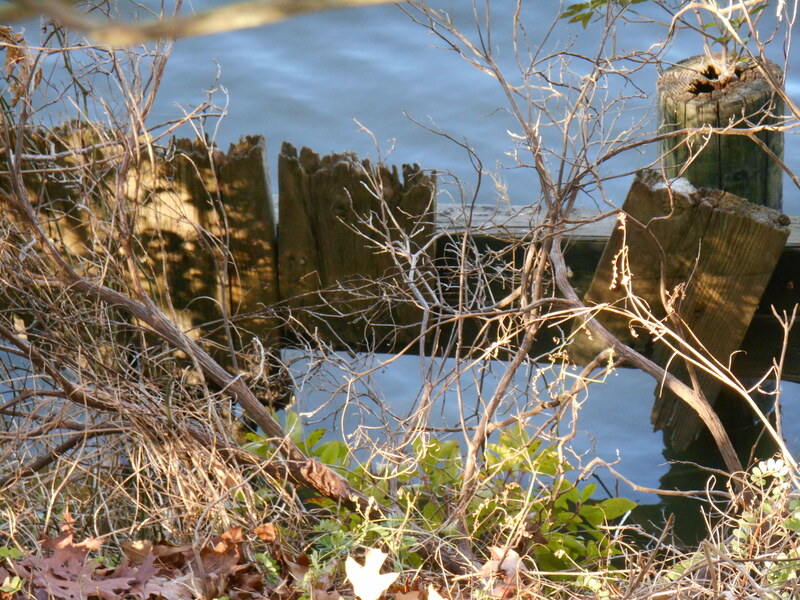 As much as the Bay’s health remains dependent on the decisions and actions of corporations, the U.S Navy, and all levels of government; there are still things individuals can do (and not do) to make our own small efforts to preserve the health and beauty of our waterways. 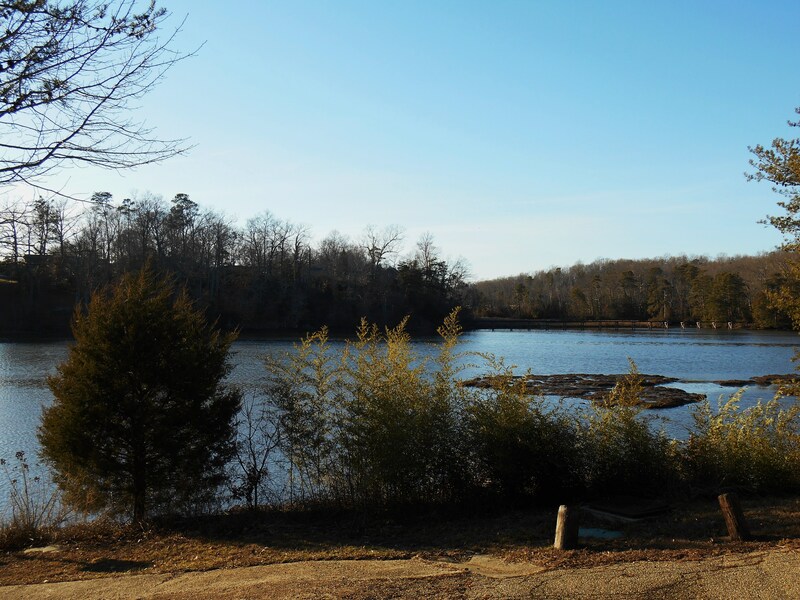 The beautiful James River with water flowing into it from College Creek to the left. We are often reminded that anything left on the ground will eventually find its way to the Bay, and then the ocean. This includes not only litter and pet waste, but also lawn chemicals, garden fertilizers, oil or gas leaked from engines, and even eroding soil. 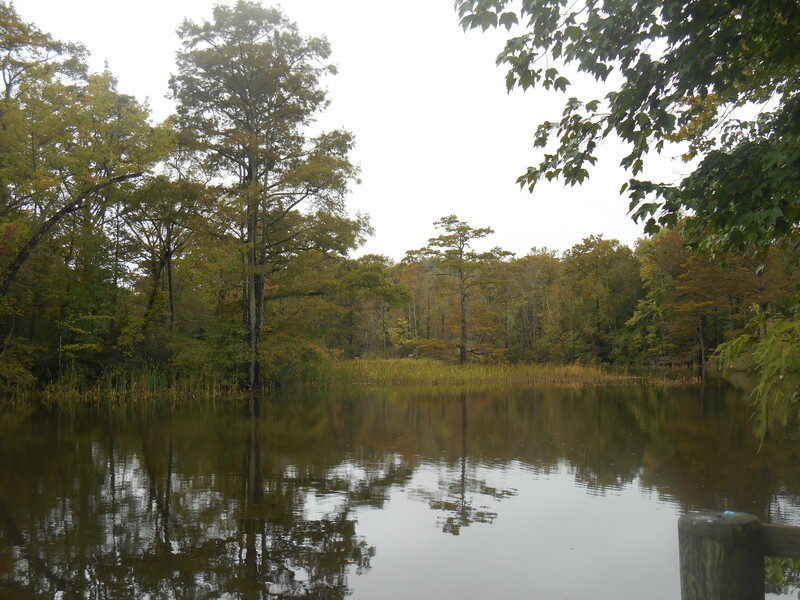 Much of the river banks in our immediate area are forested. 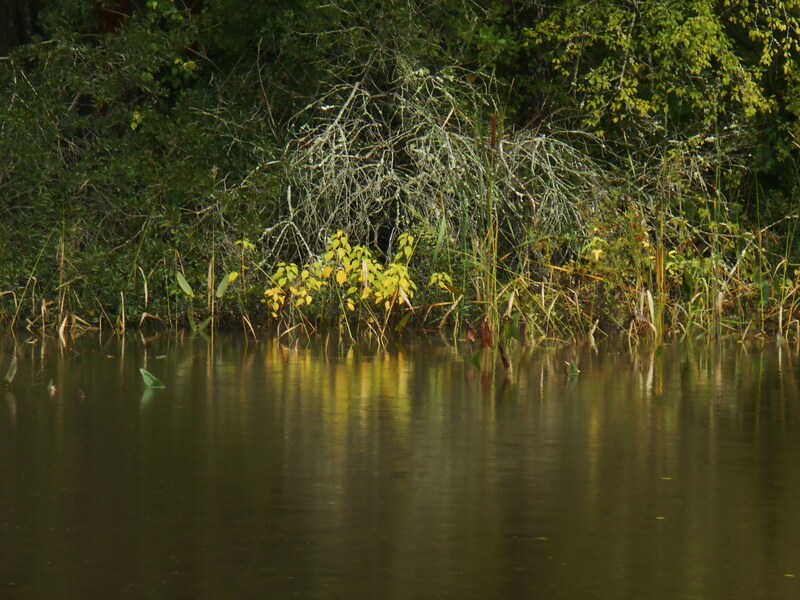 Forest lands and marshes do a great deal to filter water running off of the land before it reaches the larger waterways. 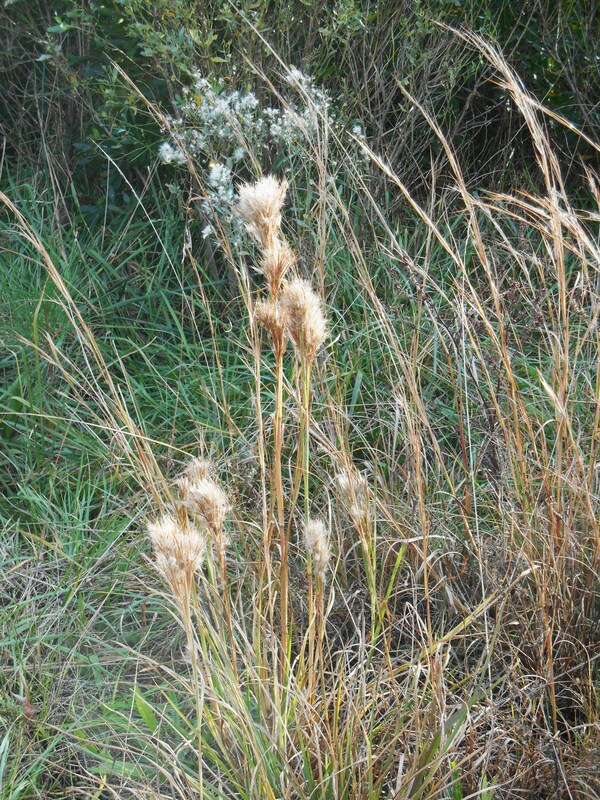 Even the hated phragmites, bane of boaters, serve an important role in filtering harmful substances out of water flowing through creeks and marshes on its way to the Bay and the Atlantic. 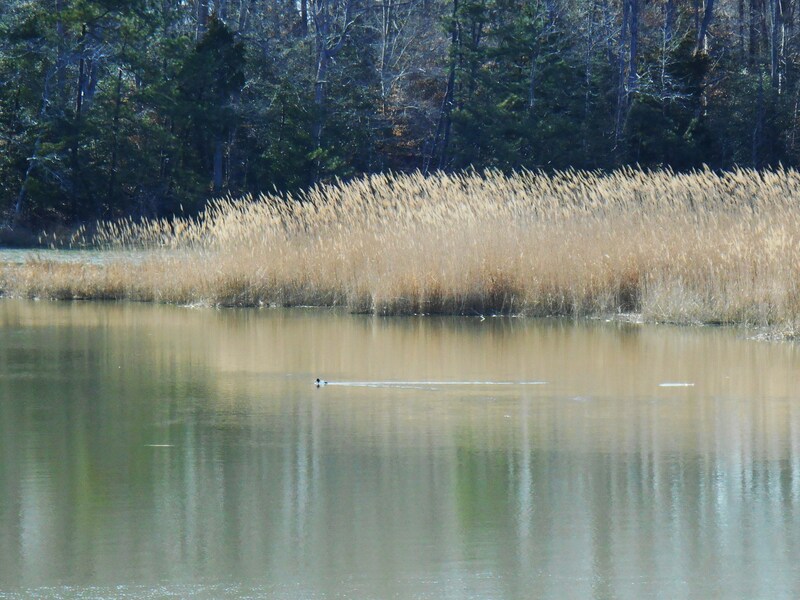 Phragmites fill much of our marshy areas. 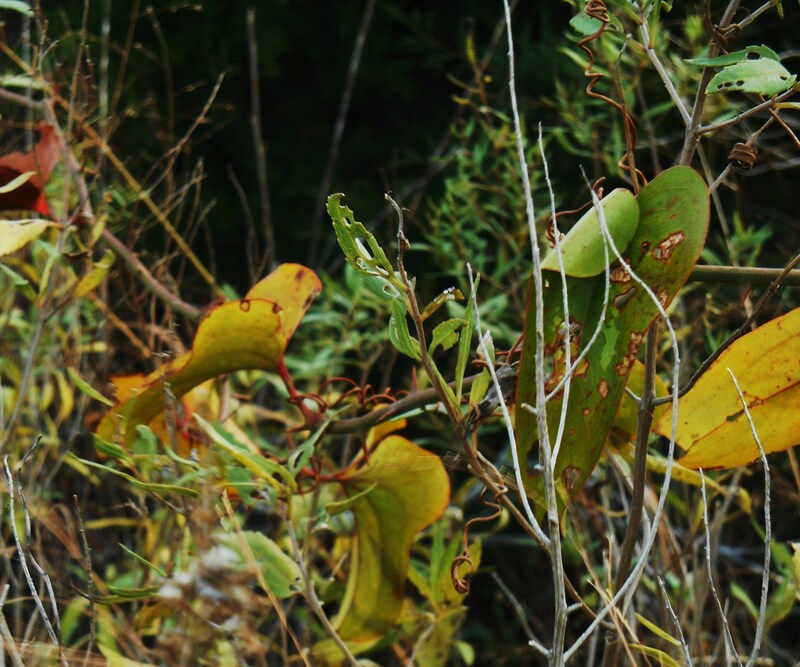 Every bit of vegetation helps absorb run-off and clean the air, filtering out harmful substances, including carbon, trapping them within the tissue of the plant. 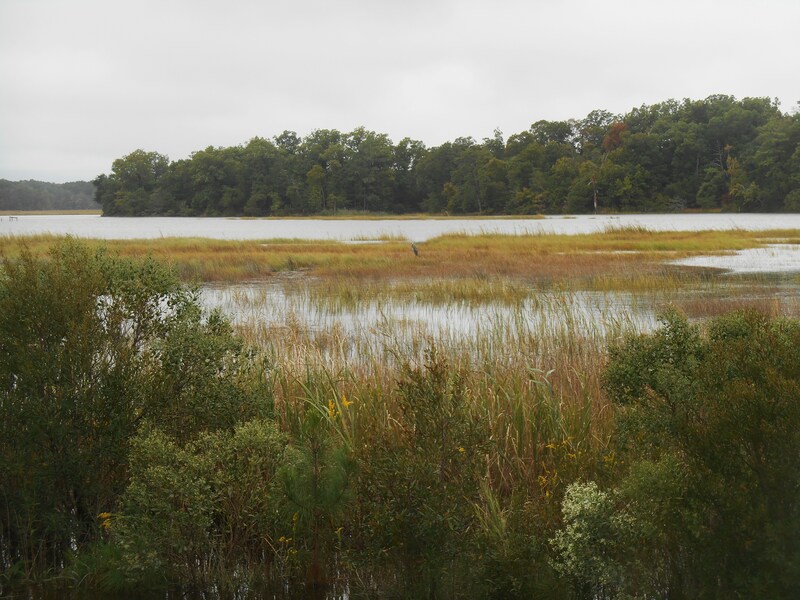 The Chesapeake Bay Foundation runs a number of excellent projects both to educate people at all levels about the Bay’s ecosystem, and to take direct action to restore watersheds and clean up solid pollution. 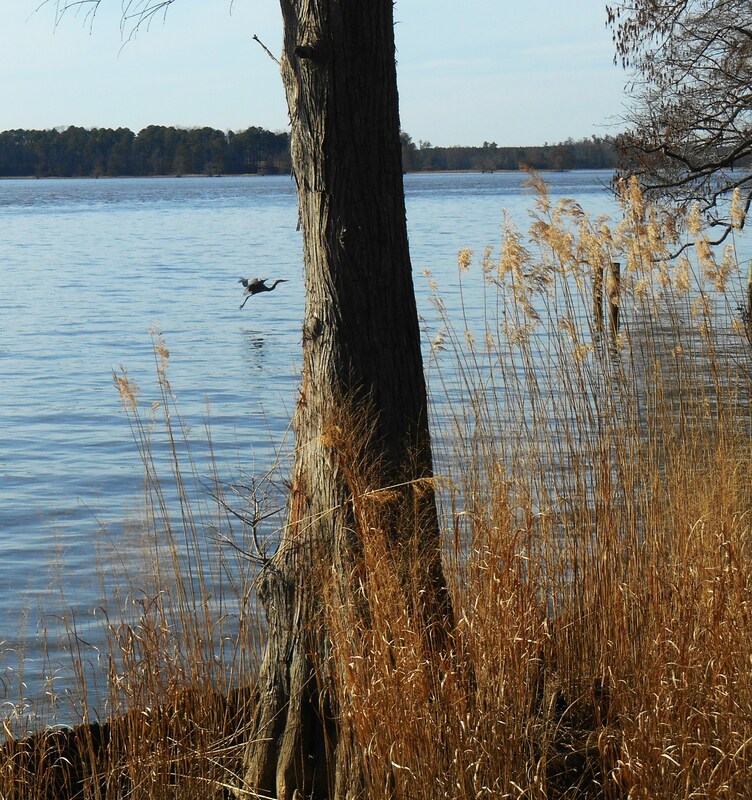 Please take a look at the 2014 Chesapeake Bay Foundations Clean Water Blueprint for more information. 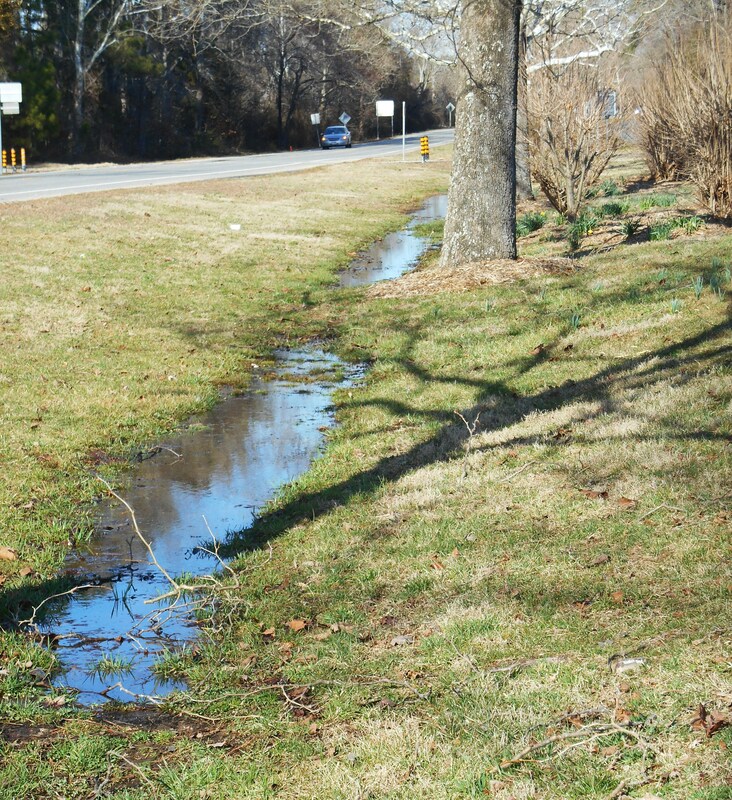 This ditch along Jamestown Road catches and absorbs run off before it can reach the James River. 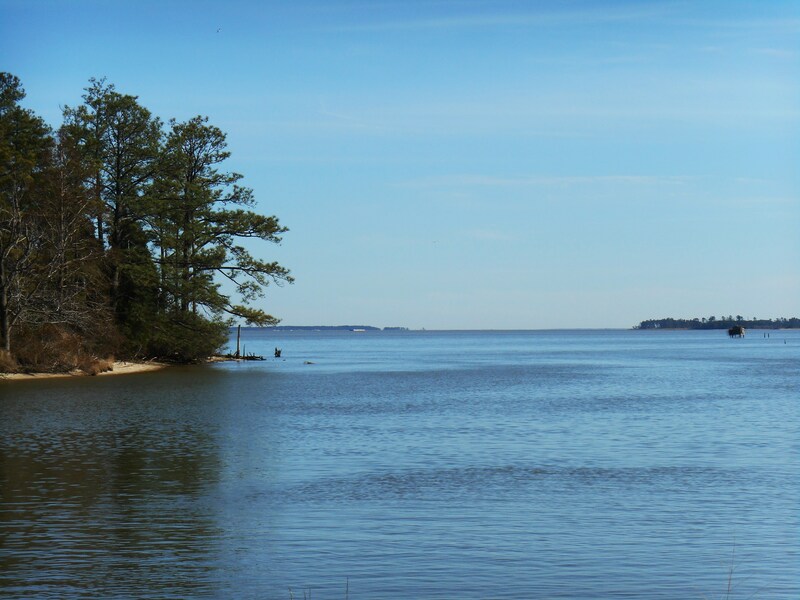 Even with a nuclear power station as one of our ‘neighbors,’ across the river in Surry, there has been a minimum of impact from that industrial site on the overall health of this section of the James river. 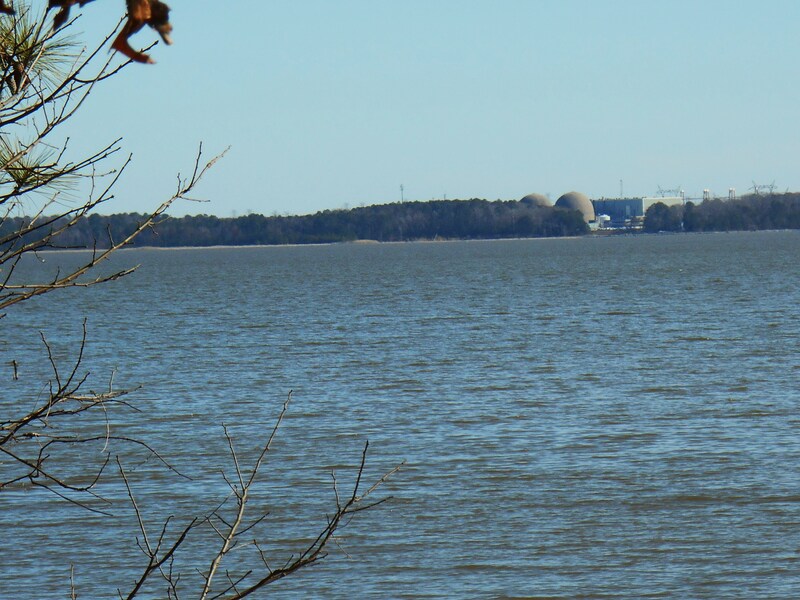 Surry nuclear power station as seen across the James River from the Colonial Parkway, near Jamestown Island. We came home earlier today to find one of the ubiquitous “lawn care” companies spraying mystery liquids on a neighbor’s lawn. I immediately tensed up and felt angry that the neighbor had actually hired someone to come and spray harmful chemicals so close to the pond behind our homes. This same neighbor had shrubs and trees ripped out of her yard a few years back so this green lawn could be laid. Now we have to listen to the crews come with their noisy equipment to care for it and treat it with chemicals on a regular basis. With every rain, those chemicals wash off of her lawn and into the pond behind our properties, home to frogs, toads, turtles, and more; then on into College Creek. Planting and preserving trees, shrubs, herbs, and vines helps hold the soil and slow run-off during rainstorms, thus preventing erosion. 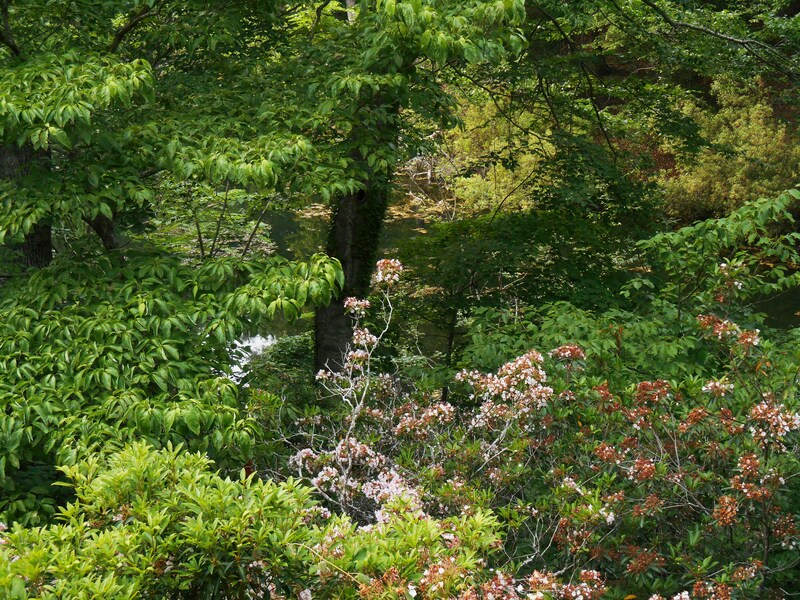 Planting primarily native or naturalized species which don’t require herbicides, insecticides and fertilizers for their growth allows us to enjoy a beautiful landscape around our homes without releasing chemicals into the ecosystem. 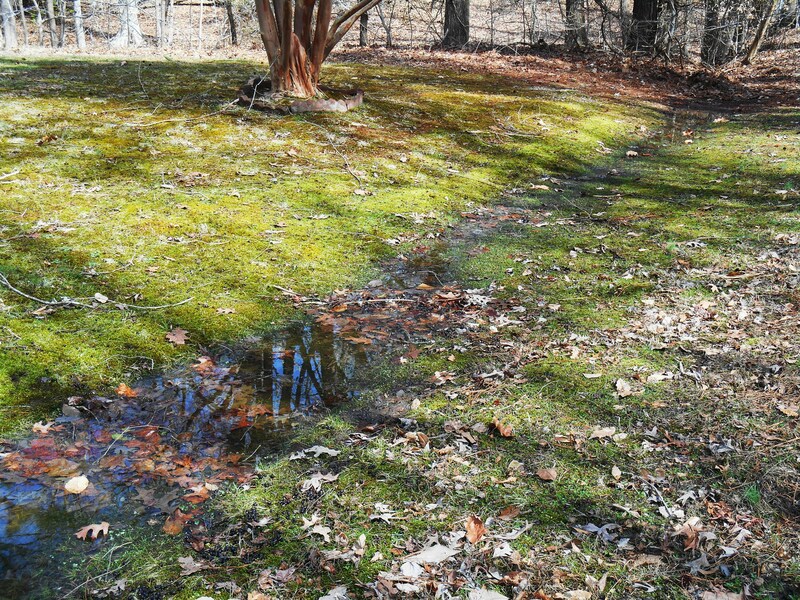 Naturalized landscapes use far less energy than lawns and return far greater value to the ecosystem. 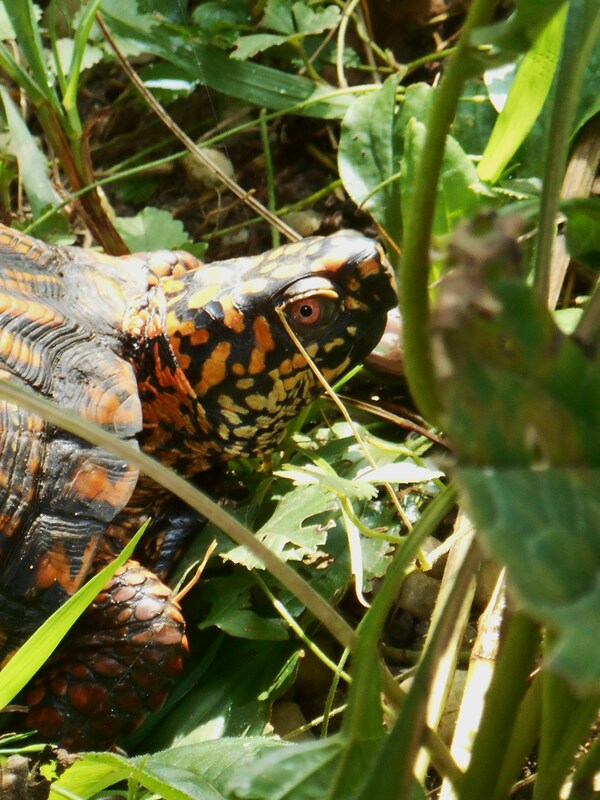 Another neighbor whose garden borders our shared pond has filled his garden with native shrubs and trees. 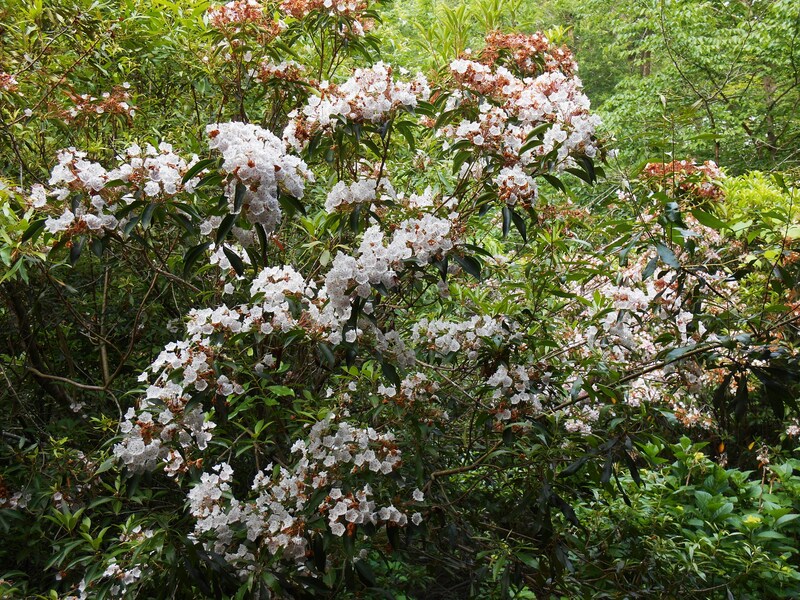 This Mountain Laurel makes a spectacular display in his garden each May. 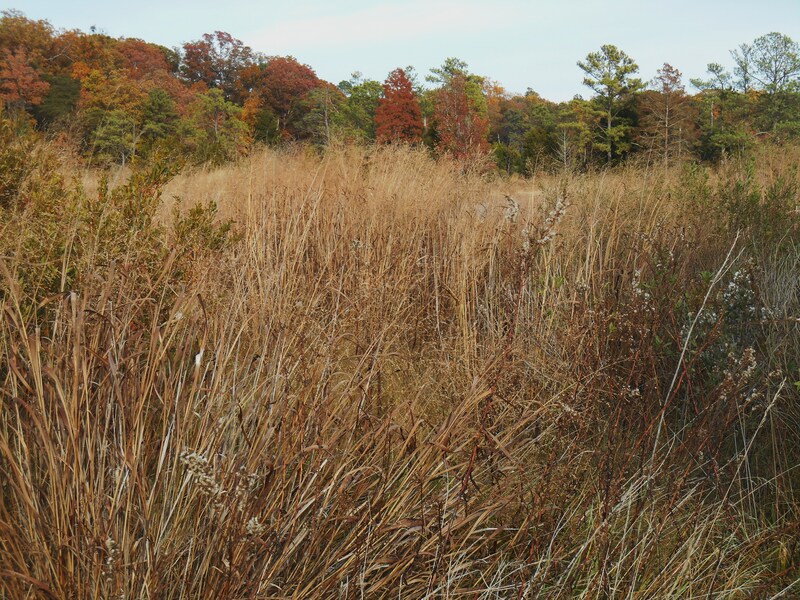 Re-planting native and naturalized species also helps re-store the ecosystem for our wildlife. As we provide food sources and nesting sites, we provide safe haven for the many creatures which make up the web of life in our region. This is good stewardship of our ecosystem, and also saves us a great deal of time an money. Wouldn’t you also prefer listening to birdsong than to the blowers, mowers, saws and grinders of a lawn crew? 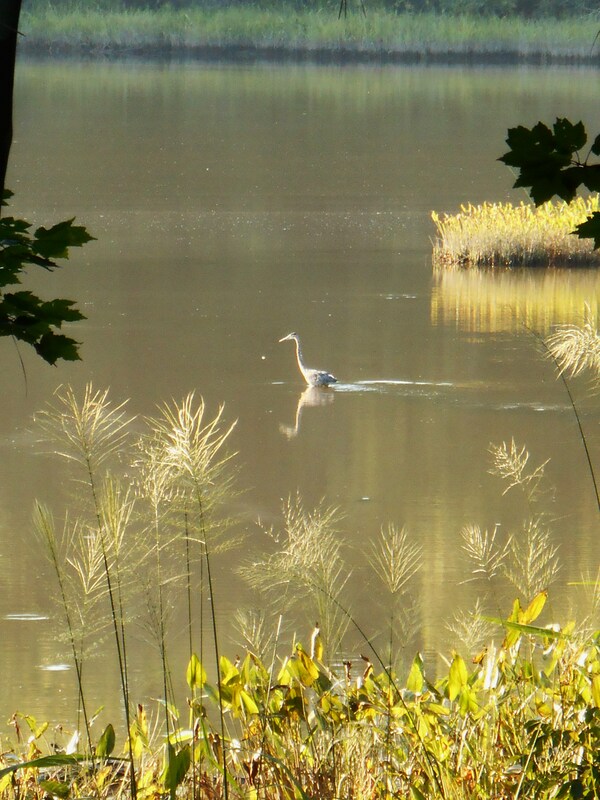 Jane, a blogging friend at “Just Another Nature Enthusiast,” has created a new blogging meme called, “Unless… Earth Friendly Fridays.” Somehow I missed her start up. Jane has declared March the month for us to focus on water and waterways. March 14 is the International Day of Action for Rivers, and March 22 the UN’s World Water Day. Jane posted the challenge, “Water- What’s Your Watershed?” on the last Friday of February, and I’m finally responding with this post today. Better late than never, I believe! 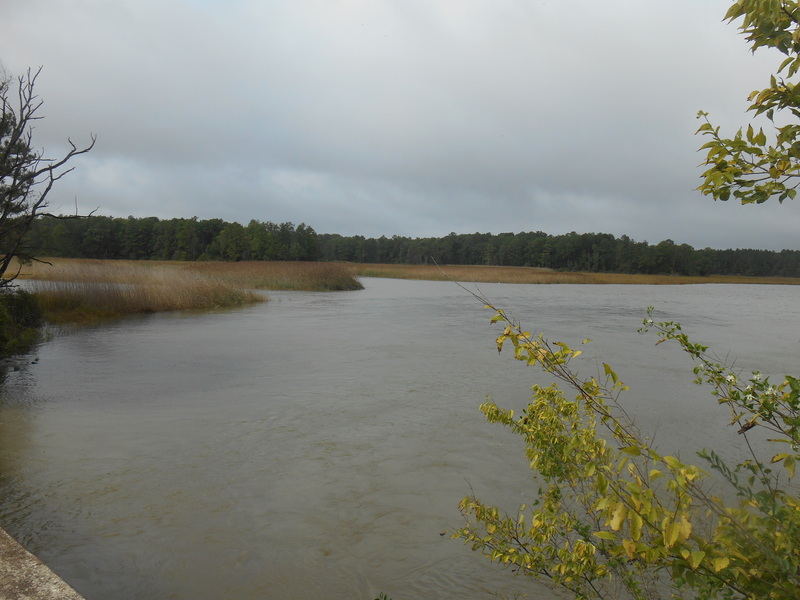 The Chickahominy River earlier this afterrnoon. Although Jane lives in the beautiful northwest of the United States, and we live here in coastal Virginia; we have a great deal in common. Even living on opposite coasts, I feel as though we share a back yard. Perhaps all of North America is in some way our back yard! If we all treated it as such, I firmly believe that we could do a great deal to clean and preserve our environment in our generation. Working together, helping others become more aware of how their actions affect the greater whole, we might be able to leave a cleaner, more beautiful planet for our granddaughters and grandsons. Please join the Earth-friendly Friday Challenge. “I begin with nature today, which gives us so much, including the amazing opportunities for photography. Hence it must be our duty to preserve this beautiful planet, in whatever small way we can in our own capacity. Gardening allows me a very immediate and hands on opportunity to preserve the tiny bit of our planet’s ecosystem within our garden. 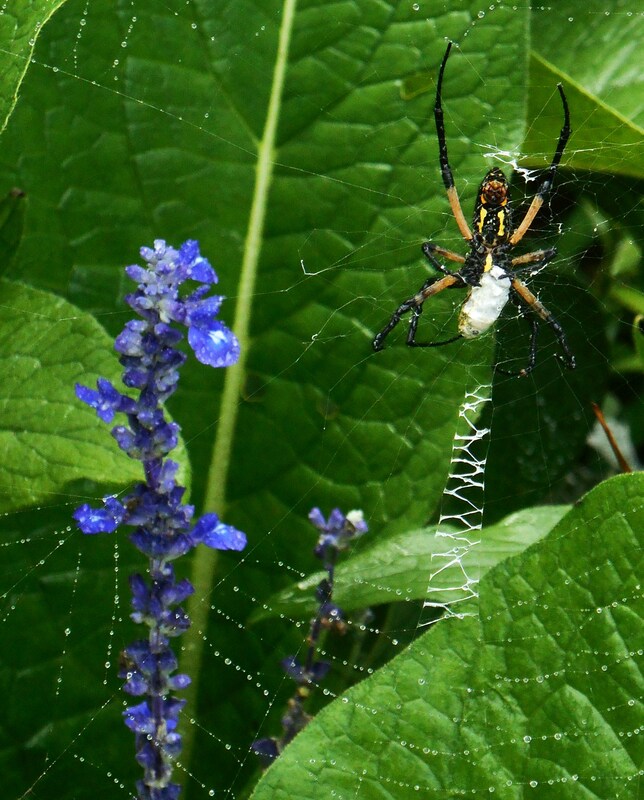 Planting for wildlife habitat, protecting the soil, increasing diversity, and using sustainable, organic practices all help to make this tiny garden lush, beautiful, and life sustaining for many species- including ourselves. But this is only a first effort. Writing about it and sharing its beauty with others through photographs; nurturing friendships with other gardeners and building community, allows this harmonic to resonate around the planet. 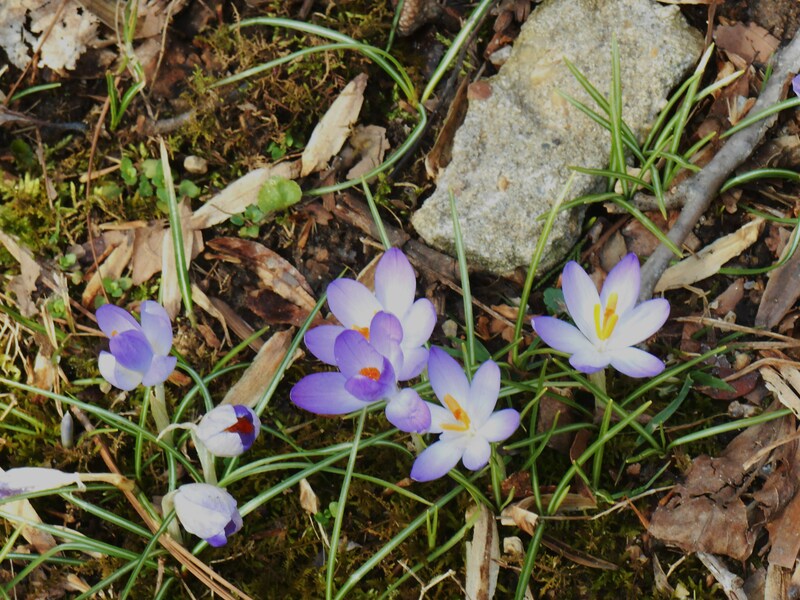 I am keenly interested in gardens from Portland Oregon and Conway Massachusetts to Queensland Australia; Greenville, South Carolina and Charlotte, North Carolina to Brussells, England, Puerto Rico and New Zealand. 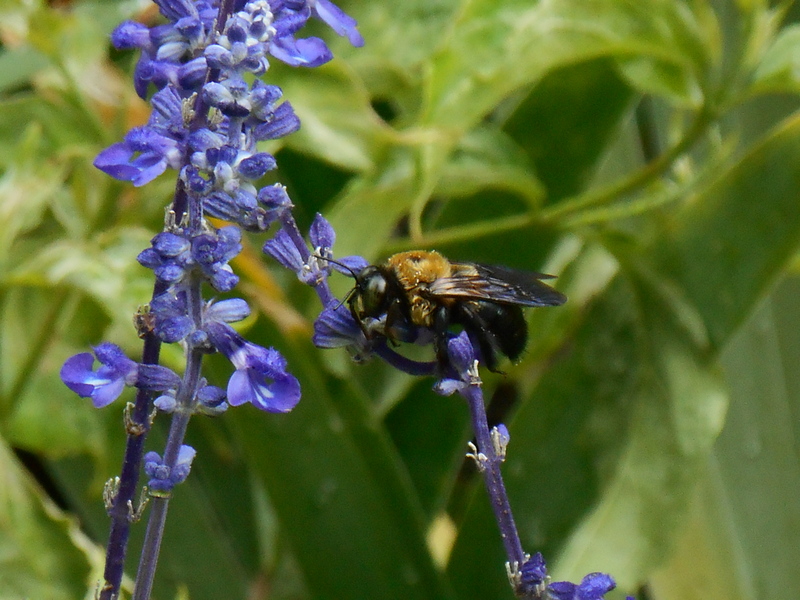 Through reading about other gardener’s efforts, and seeing photos of their gardens in progress, I absorb their ideas, their passion, and their ecology. Suyash invites us to enlarge the context of how we think about our own photography. Reflecting on his words, I’m reminded of photos, published nearly a century ago, documenting glaciers in our national parks. Seeing those photos again, alongside current photos of the same topography, documents the profound changes to our planet in a tiny span of geologic time. Comparing my own photos taken on west coast beaches in 2010 with those taken this past fall demonstrates, with sickening clarity, the terrible loss of life along our coast. 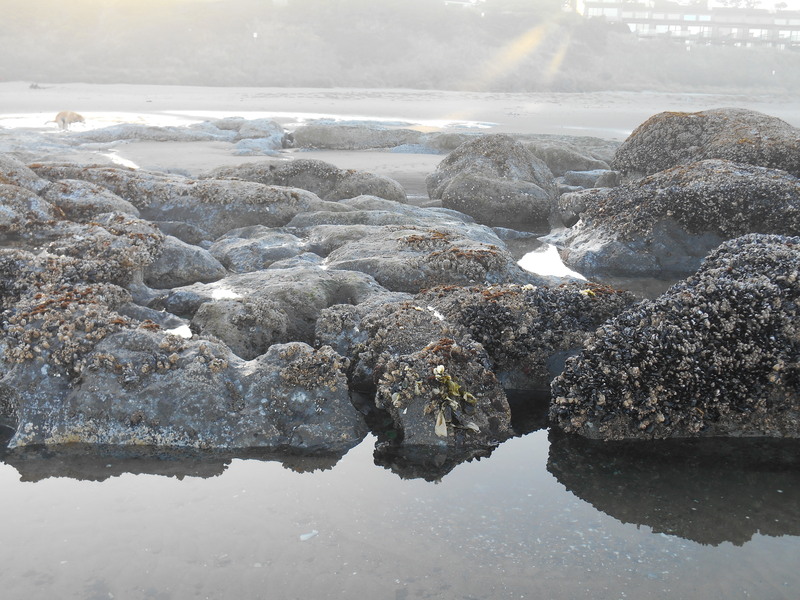 Tidal pools filled to overflowing with starfish, sea urchins, mollusks and small fish in 2010 sit nearly empty today. 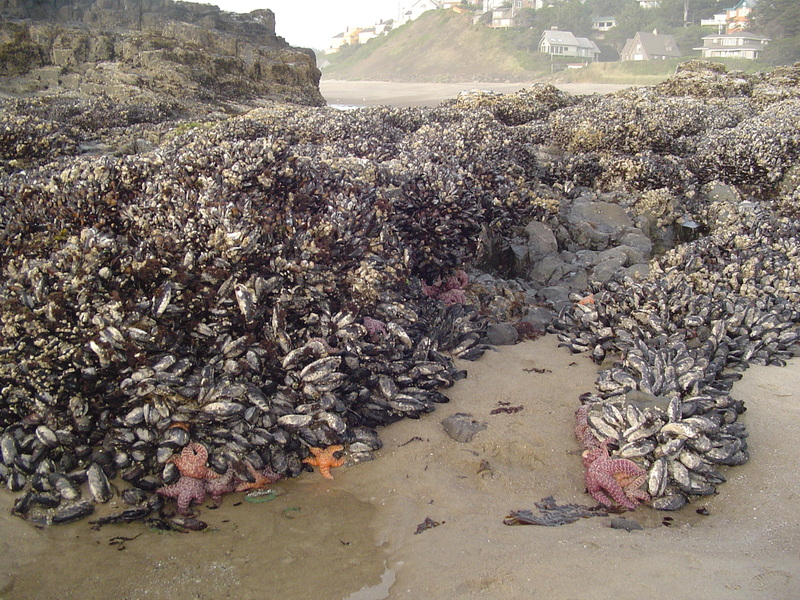 While mussels and barnacles still thrive along these beaches, the starfish and sea urchins are nearly gone and the sea anemones reduced. 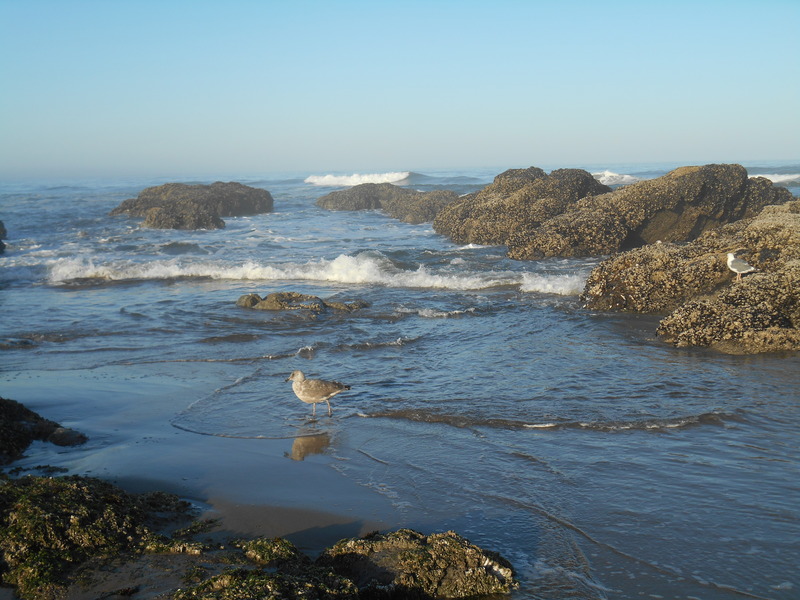 Our planet’s ocean harbors trash and toxic chemicals, petroleum, radioactivity, and acidity which turn great expanses of living ocean into watery desert. Preserving the beauty of our quickly changing planet through our photographs, to share with later generations, somehow elevates photography from hobby to historic trust. I had not really thought of my own photographs in quite this way until reading Suyash’s words today. These photographs I take each day, recording our own garden and the changing of seasons in our greater community, serve a larger purpose. They not only entertain, they document. They share not only beauty, but also an aesthetic of beauty and vibrant organic life so important to our own well being. As more of our planet sleeps under pavement and architecture, living soil buried beneath concrete and asphalt; those areas left to grow and support life shrink with each passing day. Even in our own community we watch trees felled and marshes filled as developers try to turn a profit with new homes and commerce. Where do animals go once their habitats are destroyed? 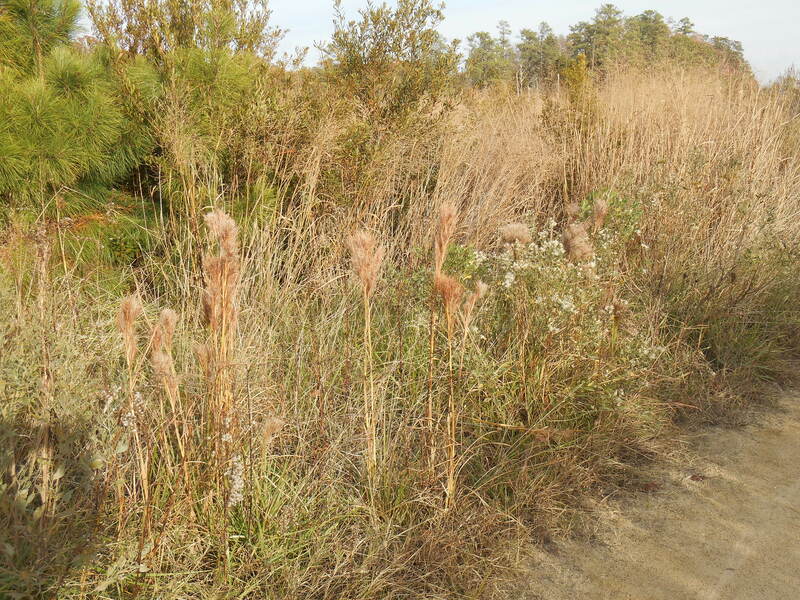 Who digs and moves the native plants? The answers are all too clear, and too poignant to frame with words. And so the photos we take today, the photos our parents and grandparents took decades ago; serve to document the beauty of nature which remains. One forgets winter, sometimes, by the end of a long summer. And so it was yesterday that we set out in the afternoon to take a drive, and some photos. I wore a hooded pea coat over my jeans and sweater, but left the gloves behind on the counter. It was sunny, after all! And it had reached the lower 40s by afternoon after a long, slow climb up from night time 20s. It wasn’t until I climbed out, camera in hand, at the parking area across from the beach path that I felt the full force of the wind blowing across the river. So I pulled up the hood, fastened an extra button, and headed towards the beach, leaving my wiser partner in the shelter of the car. 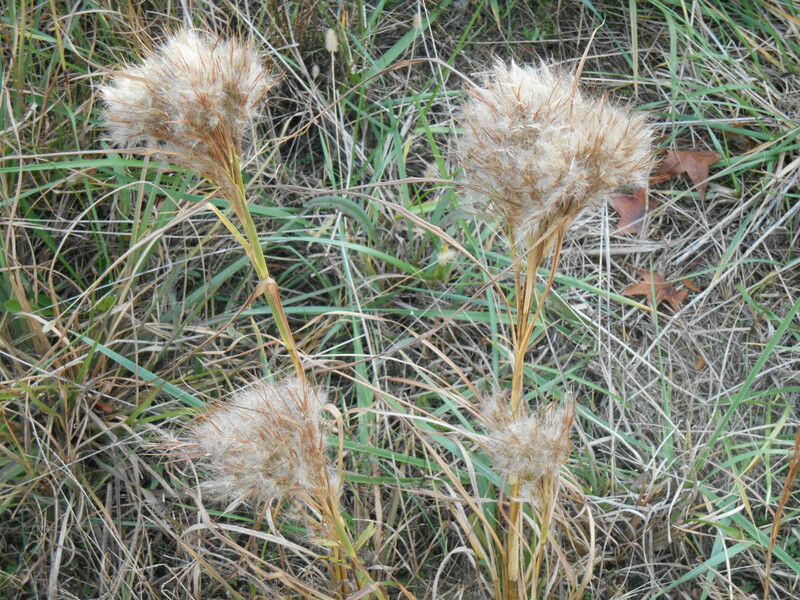 The wind whipped at my hood and drove icy needles through my fingers as it rattled the grasses along the path. 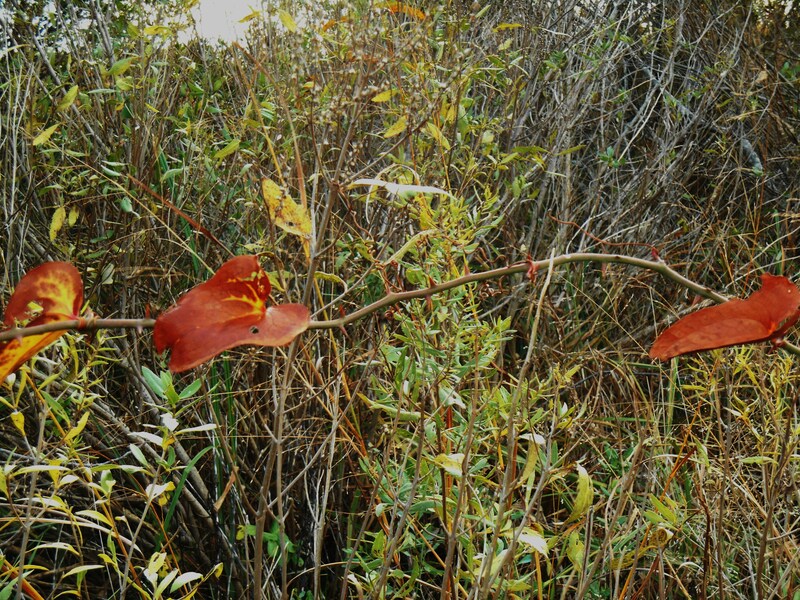 The entire landscape danced to the lively jig of this frigid November wind. 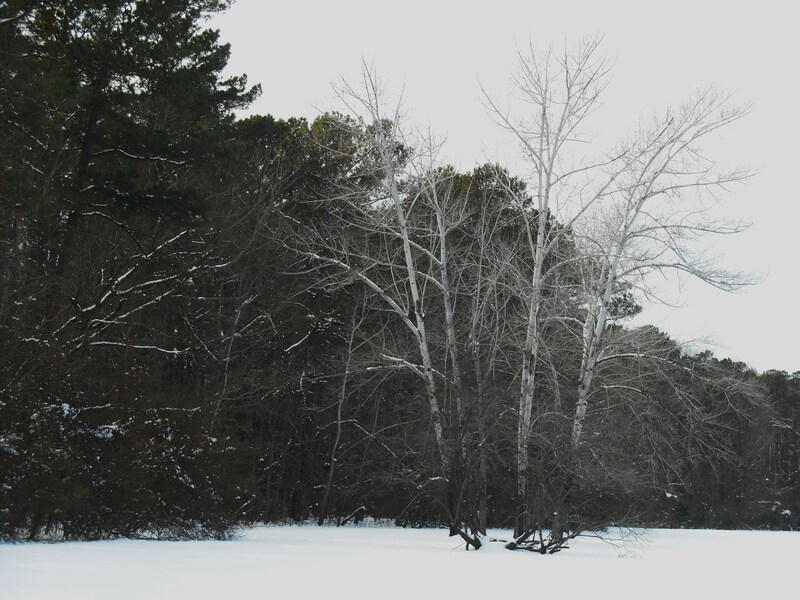 We knew that only a few hundred miles to the north this same wind whipped feet of snow across highways and neighborhoods; whole cities silenced under a blanket of arctic white. And low, dense clouds were forming over us. I wondered whether we might see Bay effect snow by nightfall. 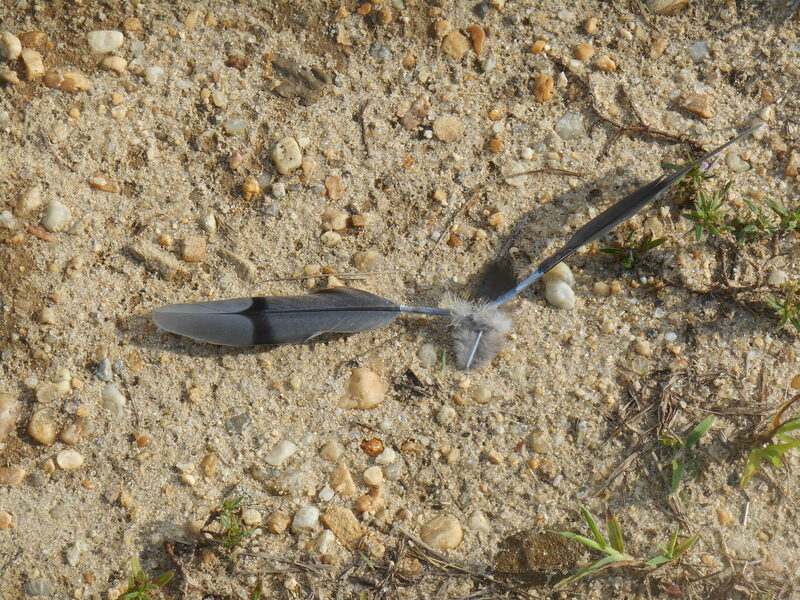 I’m not sure what I was hoping to find, yesterday afternoon. Not a single bird appeared. Not an insect buzzed; not a single squirrel scampered in search of food. It was eerily silent except for the wind. Waves lapped against the pale clean sand of the beach. Summer’s litter had blown well back into the grass line. Everything looked scrubbed clean by the wind, bleached by the cold, and faded to brown and grey and palest green. There came a point when my fingers were nearly numb, and shivering, and the wind kept finding its way ever closer to my bones. Time to turn back to the shelter of our car. We would continue on our way, together, on heated seats with windows rolled up tightly. Time to remember winter, and pick up the habits of warmth once more. Time for thick scarves, woolen socks, lined gloves, and pots of soup simmering on the stove at home.